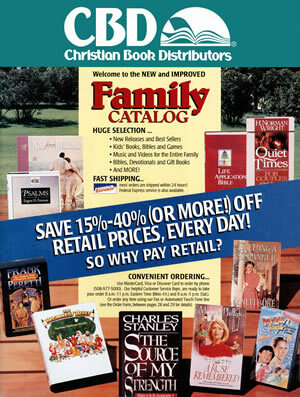 Christianbook.com is the online home of Christian Book Distributors, a company formed long before the Internet even began to take shape. The company was started in 1978 by two brothers who were 19 and 14 years old at the time, out of their parents’ home in Lynn, Massachusetts. In 1981, one brother graduated college and the other graduated high school, while the business graduated out of “Mom and Dad’s home” into its first commercial facility in Peabody, Massachusetts. In 1984 the company built a 24,000-square-foot facility in the Centennial Industrial Park in Peabody. By 1996, Christian Book Distributors had completely outgrown the site and built a new facility across the street, where it remains today. The facility is now 300,000 square feet, and we employ a staff of just over 500. The company continues to be a family affair—the younger of the two brothers is still involved with the company, in addition to his mother. At first, Christianbook carried only a few academic titles and offered them at discounted prices to pastors and Bible school students. However, with the help of their father (an Assemblies of God pastor) and mother, the two brothers soon watched their business take off. Orders poured in, and the driveway, bedrooms, and garage of their small house on a dead-end street in Lynn, Massachusetts, overflowed with boxes and boxes of books. As can be imagined, during the early years, a number of challenges faced the young company that was being run by two students out of Mom and Dad’s house. 1980 witnessed the first showroom sale at the Holiday Inn in Peabody. Showroom sales regularly drew thousands of customers to our facility several times a year. They continued for 32 years, from 1980 until 2012, when the sale moved online. The two brothers graduated—one from Central Bible College, the other from Lynn English High School—and within a month, Christianbook moved out of the Hendrickson family home into their first “real” business space in the neighboring city of Peabody. Although the company moved several times through the early years, each new facility was within the city, and today Christianbook’s “home” is still in Peabody. Christianbook became the largest company in the direct-to-consumer Christian catalog business. With a staff of 30, we moved into a newly built 24,000-square-foot facility that put all areas of the company under one roof. 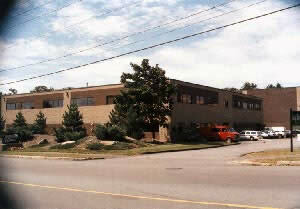 The company remained at that site until it relocated across the street to its current location in August of 1996. Christianbook expanded the product line from “just books” to include Christian music. This would be the first of many product line expansions over the years. As we reached our 10th anniversary, we introduced the premier edition of its Preferred Catalog. This has become one of our customers’ favorite catalogs, with many great deals on a wide range of products. 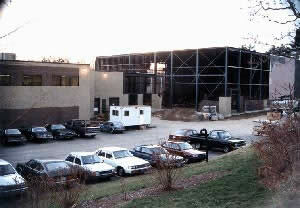 We were still growing, and it was time to expand our facility from 24,000 square feet to 52,000 square feet. We employed a staff of 90. We introduced our first 4-color catalog, which was quite a big change, and the first edition of our Video Catalog (DVDs were not yet available). Christianbook introduced the premier editions of our Bible Catalog and our Kids Catalog. Starting with an insert in the Holiday Catalog, we introduced our new line of gift products to our customers. Based on the positive response, we would later mail our first complete Gift Catalog the following year. The Gift Catalog continues to be very popular. Click here to read more on why we carry what we carry. We introduced our first-ever Homeschool Catalog in early 1997 to meet the requests of many customers who were looking for a wide in-stock selection of homeschool curriculum at great prices. During the summer of 1999 we added an entire floor to our already enormous warehouse, increasing the size of the facility to 300,000 square feet. The warehouse swelled to hold over 100,000 different Christian books, videos, CDs, cassettes, gifts, toys, and games—all of them available at the click of a mouse! At this time, Christianbook increased its workforce to a staff of 400. Twenty-five years after the company began, Christianbook was a lot bigger, but its basic goals and principles were the same—to offer customers the very best in Christian products at the best prices and with the best service around. 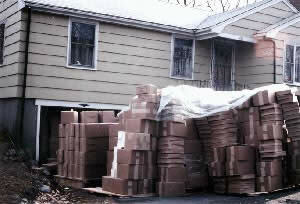 We sent out more than 50 catalogs. Toward the end of 2003, we expanded our music offering to include digital downloads from the major Christian music companies. At this time all music downloads were required to have DRM (Digital Rights Management) restrictions which limited the ability to copy or share the music. At Christianbook, we were excited about how far we'd come and where we were headed. In August Christianbook moved into a new phase of ownership, with the elder of the two brothers leaving the company to pursue other interests. We remained a family affair as the younger brother stepped into the role of President/CEO and his then 75-year-old mother continued to work at the company. Our March Warehouse Sale was the venue for our first-ever Author Signing event, where we were thrilled to host top-selling author Ted Dekker. Since then, we’ve been honored to host other successful events with Karen Kingsbury, Philip Yancey, Lori Wick, John Ortberg, Wanda Brunstetter, Robin Lee Hatcher, Deeanne Gist, Stormie Omartian, and Lauraine Snelling—with many more to come in the future. 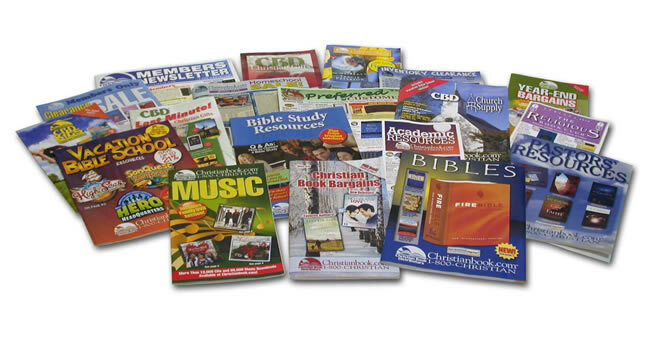 We mailed over 60 different catalogs to millions of customers, and with the continued development of our website, shoppers were able to choose from over 200,000 different Christian books, DVDs, CDs, gifts, toys, games, and more. Our staff consisted of 500+ employees. In December, Christianbook purchased Best to You, a Colorado-based Christian catalog and Internet gift retailer, further strengthening our extensive Gift and Home product line. In September Christianbook.com purchased Christianbooksdirect.com, an Oregon-based distributor specializing in the direct-to-church business, augmenting our own successful direct-to-church business, which had been in place for a long time. In April we were very pleased to expand our company charitable contributions to include Compassion International. By linking through Christianbook.com, customers can learn how to sponsor a child in need within the Child Sponsorship Program. Other organizations we support include the City of Peabody (we believe it is important to be a good corporate citizen), Christian schools, overseas missions, and missions particularly focused on children. In May Christianbook.com announced the purchase of DiscountChristian.com, a California-based Christian Internet retailer specializing in Bible software and homeschool curriculum. In September, we were very happy to host our first Pastor Appreciation Day. We hosted 104 pastors at our facility, treating them to lunch and a powerful ministry session with Pastor Jim Cymbala from the Brooklyn Tabernacle in New York. In October, Christianbook celebrated its 30th anniversary. October was also the month that Christianbook announced it had entered into a partnership agreement with Focus on the Family to take over the ministry’s e-commerce site and product distribution. The partnership took effect early 2009. After months of preparation and a tremendous amount of hard work, our partnership with Focus on the Family was up and running in February. We developed many new e-commerce and co-branded partnerships and were excited to be working with several new organizations, including MOPS (Mothers of Preschoolers), MITI (Moms in Touch), and Gordon-Conwell Theological Seminary. We took our first step into the world of “viral marketing” in March when we launched our new “Community” page on the website. For the first time, customers were able to follow us on Facebook or Twitter; view book and movie trailers, music videos, and author and artist interviews (many of which are exclusive to Christianbook.com on our YouTube channel); and stay on top of the latest news and best deals at Christianbook.com on favorite blogging networks. We re-launched our MP3 store with a new streamlined download process and a greatly expanded selection of 100% DRM-free MP3 music titles for download to computers, iPods, and many other devices. In December Christianbook.com announced the purchase of the assets of Mastersloft.com, a North Carolina-based distributor. This acquisition integrated very well with the successful church supply business that we currently have in place. To cap off a very successful year, we were selected by the Boston Globe as one of 2009’s Top 100 Places to Work in Massachusetts! We ranked #22 overall and #8 in the mid-sized company category. One thousand organizations were invited to participate. Out of that number, 269 organizations completed the entire process to qualify. Ranking #22 out of the 269 organizations that completed the entire process put us in the top 8.1% overall and in the Top 10 among mid-sized companies in our area. 2010 proved to be a busy year with the launch of our all-new eBook store, the introduction of our own CBDReader™, as well as a couple of acquisitions along the way. In September we were very excited to introduce our new CBDReader™ — a free reading platform which operates within the internet browser of a PC/Mac®/laptop, smartphone, or iPad®/tablet — giving our customers the ability to read on devices they already own, including the Nook™ and Sony Reader™. Without downloading any special software application, readers can choose to access their eBooks "in the cloud" and literally begin reading with just a few quick clicks. By eliminating many of the frustrating technology barriers facing a potential eBook purchaser, the innovative eBook store at Christianbook.com encourages newcomers to try eBooks for the first time, while still pleasing the tech-savvy eBook user as well. Christianbook.com announced the purchase of Pennywiselearning.com, a family-owned and -operated company dedicated to serving the Christian homeschool community. After eight years of service, the owners of Pennywiselearning.com were called to pursue full-time ministry in their local church, thus allowing this transaction to take place. While both companies were worthy competitors in the field, they each shared a common goal: to provide the best Christian resources to homeschool families at the best prices. The owners of Pennywiselearning.com were thrilled to find a company to carry on their legacy of helping thousands of families with knowledge and expertise; likewise, we at Christianbook are honored to be entrusted with serving Pennywise customers. Pennywiselearning.com had recently purchased Bookpeddler.com which was also part of the transaction. Once again, we were very proud to be selected by the Boston Globe as one of 2010's Top 100 Places to Work in Massachusetts! We ranked #8 in the mid-sized company category. We are the largest catalog/Internet company serving the Christian marketplace, frequently cited as "the source" for Christian products. We are constantly looking for ways to improve our offerings to give customers the best experience possible. 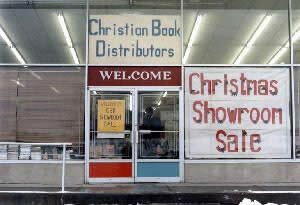 Christianbook continues to grow and provide our customers with many more products than ever before. Our customers can choose to shop from our many unique catalogs by phone, mail, or Internet, taking advantage of our ever-expanding website, making it easier to find exactly what they are looking for faster, and at the best prices around. Our management team and staff of 500+ employees say a HUGE THANK YOU to our customers — without you we would have no business and therefore no jobs. We will continue to strive to provide you with superior customer service and a very enjoyable shopping experience. The Bizrate Circle of Excellence Award is presented to top performing online retailers who have met the strict criteria set by BizRate Research to recognize outstanding customer service. BizRate has been presenting this award recognizing the "Best of the Best" e-tailers for ten years. Christianbook.com is proud to have been a recipient for all ten years, with eight of those awards being at the Platinum Level. This is an achievement very few companies have accomplished, and one we are extremely proud of. Christianbook.com is the largest Christian catalog company in the world, sending out over 65 mailings of unique catalogs to millions of customers each year. Christianbook.com customers have access to the premier selection of Christian products available—over 300,000 books, Bibles, DVDs, CDs, gifts, toys, games, and more. Bible schools that prepare their students for full-time ministry, primarily in overseas countries. Some of the countries include Croatia, India, Nepal, Kenya, Uganda, Bahamas, Indonesia and Hungary. Children's ministries that bring the gospel to children around the world. Compassion International—providing humanitarian relief delivered through the local churches. Many schools and organizations within our local community here in Peabody, Massachusetts. iPad and Mac are registered trademarks of Apple Computer, Inc. Nook is a trademark of Barnes & Noble, Inc. Sony Reader is a trademark of Sony Electronics, Inc.